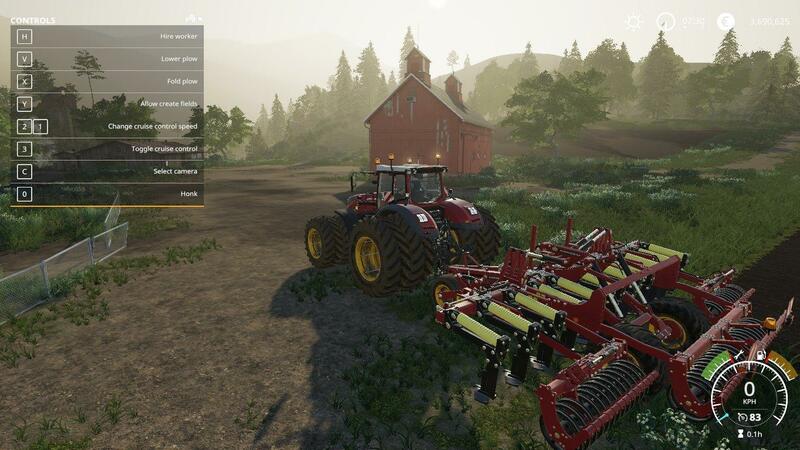 Ok this is my FS19 cultiplow and it ploughs and cultivates in one pass. Added colour choice to body and rims, added rear beacon light, faster operating speed and full plough field creation support. This is not suited for tight field spaces as the turning radius is 5m and if the AI can’t make it they will do a wider reverse turn. Have fun with it. 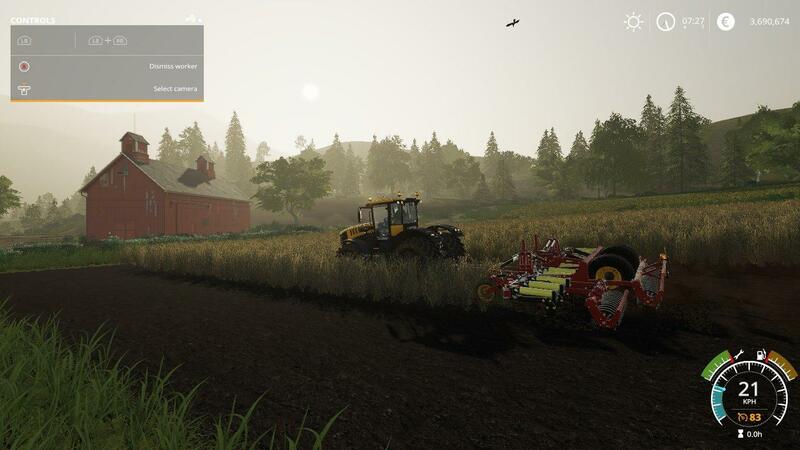 This plow works fine for me, after I plow the field the terrain map show field it’s plowed. 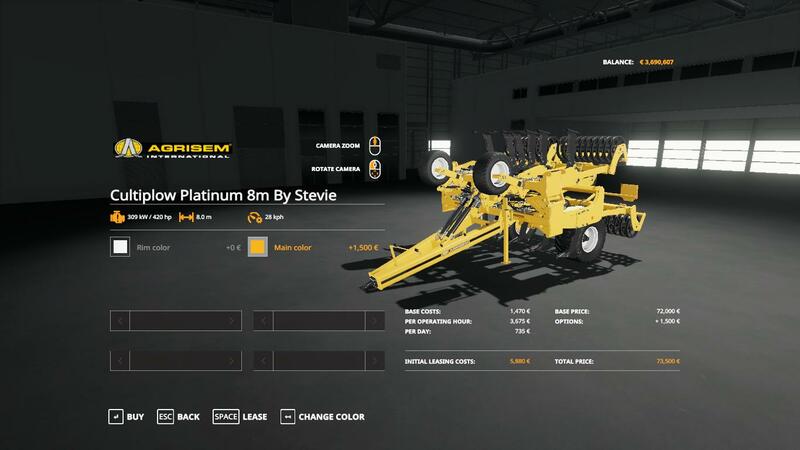 Again thanks for this Mod , maybe you can designe the same plow with a work weight from 12 meter or 16 meter .